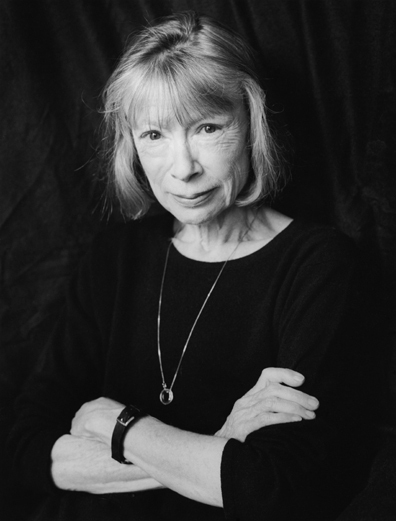 Author Joan Didion. Photo from Goodreads profile. The Year of Magical Thinking is not something I can fully put into words. Reading it is a truly humbling experience. It is more than just a book; it allows for a deep examination of the human mind in a troubled state. One of the most marvelous abilities of Didion is that she forces the reader to strongly consider the shallowness of sanity (see p. 7). This book is a lesson in survival, but not the Boy Scout kind. It made my life flash before my eyes — past, present, and future. It forced me to be introspective. I laughed aloud at points, but also had to set the book aside to avoid tears. It is so human, almost too human, too real, but also too good to not read. 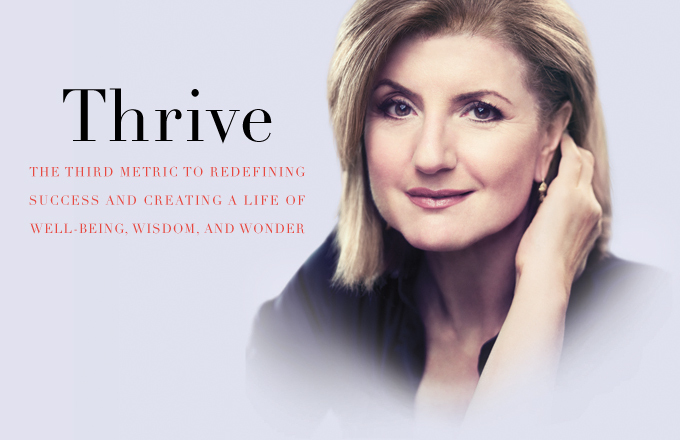 Her tale is deeply personal and reflective. I read the first couple chapters a few months ago, for a college course, and I was motivated to write about my own life because of it. A mark of a talented writer is the ability to inspire other writers. In that regard, I aspire to be like Joan Didion. It was a true test of my will that I was able to put the book on hold until I finished final exams. Thematically, The Year of Magical Thinking explores loss, grief and mourning. I’d often seen the latter two as one in the same, but she writes, “Grief was passive. Grief happened. Mourning, the act of dealing with grief, required attention” (p.143). She is writing to understand her own grief, and notes examples from literature, popular culture and religion that resonate with her, such as, “I think I am beginning to understand why grief feels like suspense. It comes from the frustration of so many impulses that had become habitual,” as C.S. Lewis wrote. Why do you always have to be right. Why do you always have to have the last word. For once in your life just let it go (p. 141). “I wondered what an uncool customer would be allowed to do. Break down? Require sedation? Scream?” (p. 16). Like Didion, I also write to discover my own thoughts. She asks, “Was it only by dreaming or writing that I could find out what I thought?” (p. 162). For me, I’ve found the answer is often “yes.” She also writes, “I am a writer. 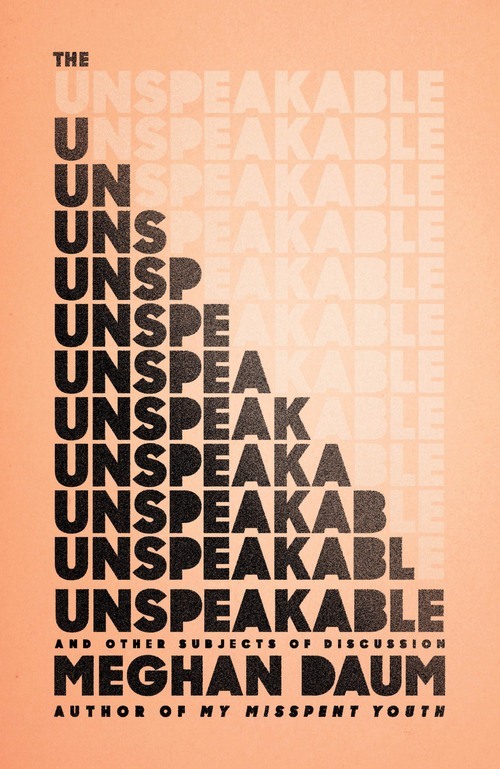 Imagining what someone would say or do comes to me as naturally as breathing” (p. 196). It is so rare to find someone recognizing the conversations we all play out in our heads. But especially writers, those with wild imaginations, allow it to happen constantly. It’s a feeling I know well. One of the most incredible elements of this book is that she truly lays out her mind in paper and ink. She’s not capturing her thoughts to be controlling. In a way, it seems writing is one of the only ways she lets herself lose control; writing allows her to be free. “His eyes. His blue eyes. His imperfect blue eyes” (p. 40). It’s a short read, but a must-read book! After a brief hiatus and a four-month stint in Europe (more on that here) I have returned to blogging for the summer. I spent the second half of my junior year back in Ithaca, working on various projects, which included the creation of yet another blog! This one focuses on activist and advocacy journalism. It started as a class project, but I have decided to keep it updated, so if you’re into that kind of media be sure to check it out here. For a little teaser of what’s to come on this site, I have been reading a lot of Joan Didion — specifically, Fixed Ideas and The Year of Magical Thinking. This should be required reading in American public schools. Anyone looking to begin to understand 9/11, as well as American domestic and foreign policy, would benefit from reading this short piece. Thanks to the publication of this piece, Didion was inducted into the “Blame American First” crowd, which included anyone (especially journalists, actors, musicians and politicians) who raised legitimate questions or points about why the Sept. 11, 2001 attacks on the Pentagon and World Trade Center actually happened. 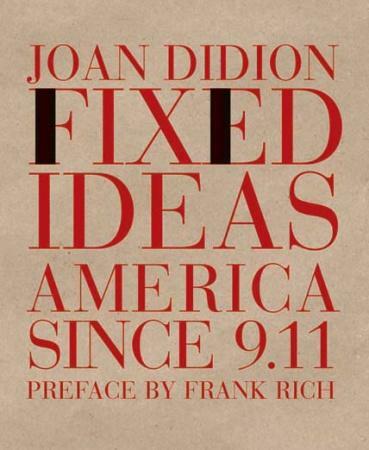 Fixed Ideas is brief, but it touches on many important issues in post-9/11 America. As someone who was very young at the time of the attacks, it was fascinating to read her observations of the emotional climate of various cities across the U.S., in contrast to the atmosphere of New York City. What I love about Didion — or one of the many things, I should say — is her ability to come at something, anything, on every level. I will discuss that more when I am able to put together a full post about The Year Of Magical Thinking, which is turning out to be one of the best books I have ever read. It’s just taking some time to finish reading and work out what I want to say about it, because the book is intense. For now, I am back to ‘spring’/summer cleaning. The weather in Ithaca is finally warm. We’re all taking bets on how long that will last. What do Gossip Girl and Hunter S. Thompson have in common? This book by Hunter S. Thompson is a must-read for all political junkies. This week I accomplished two of my summer goals: I completed my first internship and I finally gained access to my own Netflix account. One of these goals will help me further my career; it was an incredibly rewarding, challenging, and inspiring experience. The other is seen by most as a major distractor—a challenge to my productivity. However, my last week with Netflix has taught me more than I expected. Or rather, it has served as a major reminder. You see, my internship was with a magazine that promotes justice movements, analyzes cultural phenomena, and highlights labor rights violations, but my focus on journalism is a bit broader, and also includes diplomacy and other political matters. This week, I have watched various movies, but also many episodes of two shows: House of Cards and Gossip Girl. The former is new to me, and a Netflix original; the latter is one of my guilty pleasure favorites, and I have seen every episode. While the two shows have different focuses, different settings, and were created for different audiences, there are some striking similarities. Now we get to the ‘reminder’ part—the knowledge these shows have bestowed upon me. Both shows involve abnormal amounts of wealth, manipulation, and duplicity. Both have characters that are ultracompetitive and constantly make morally questionable decisions. All of this has served as a reminder that I am venturing into a dangerous, competitive, shady environment. As I cover politics, I will no doubt encounter these intentions, these games, and these people. “And I had fallen for it. But so what? I am of the romantic sensibility, as they say, and I am easily swayed in that direction, which is dangerous…” (p. 221). Do I really want to venture into a world where all this game-playing occurs, when I know full well that the media often contributes to the over-publicized, crazy competitive sparring matches between career politicians that lead to a lack of legislative productivity? Well, as much as I must confess I crave a good game every now and then, what I really hope to do with my career is to promote cooperation and productivity at the political level—to push aside the games and focus on pressing issues and realistic solutions. Most people would call it foolish and idealistic. Most people would call me crazy. So go ahead. I dare you. I promise I’ve already been called worse. But instead of name-calling, I commit myself to honest storytelling. I commit myself to promoting real progress. But to do so, I must dive into “the dark underbelly.” It’s fast and it’s dangerous.